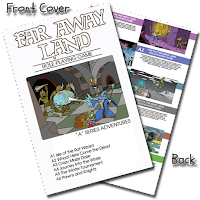 Between a combination of DriveThruRPG sales and my Patreon campaign I've finally scrapped enough dough together to pick up the Far Away Land Tome of Awesome. 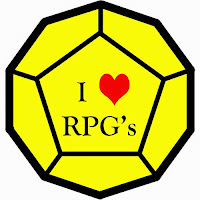 To be fair, I've been picking up other RPG stuff which keeps whittling my funds down, keeping FAL a bit out of reach. I picked up the "standard printing" version because it is cheaper, but also because I really wanted to see the quality of that level of printing. Since there is a chance I might get to run or play in some FAL at Origins I thought I'd print up some of the adventures currently available. I picked up the whole A series and the newly released D1. Now I could easily use these on my iPad, and still may, but I wanted to mash them together and print them up into a single booklet. Easier said than done, but eventually I got it finished. The hardest part was just my usual dinking around to come up with a nice cover for the 1/8" booklet. The front cover and spine look good, but I had a goof on the back cover that I didn't catch until it was too late. Nothing too major, but I'm not re-doing the booklet. I have a few other RPG items (games & adventures) I'm considering printing up in mini-book form. For one I'm dying to get a full set of mini HackMaster books now that the GMG is out. I had a real cool PHB and HoB made up, but I ended up getting them autographed by the D-Team and tossing them in the auction at GaryCon. Since this was only my second book (here was my first post about making books with a jig), I'm obviously still learning. What I learned on this go around is that 1/8" is quite a bit small for the book and getting the spine fold for the cover is a PITA. 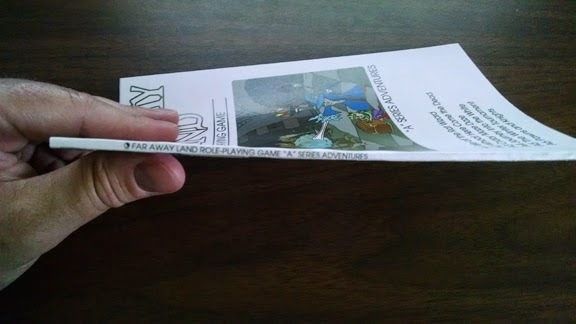 Also, if I make thicker books I might want to use legal sized cardstock so I can trim things up right when I'm done.